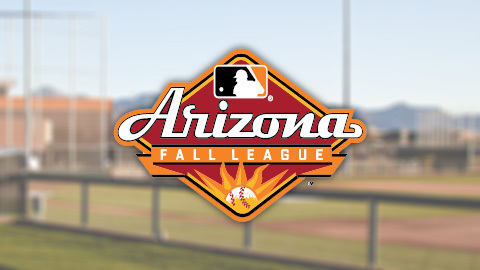 The 2013 Arizona Fall League may be a distant memory to many, but impressions were certainly made. The league, which was completed last year on November 16, takes the top prospects of each organization and combines them on teams competing in a 32 game schedule. The top prospects from the Toronto Blue Jays, Arizona Diamondbacks and Colorado Rockies all joined with those from St. Louis to make the Salt River Rafters. Fans were able to see the best and brightest young players fine tuning their skills. Last year we highlighted the list of players in the Cardinals’ organization here. This is a look at how they did and where they might end up when the baseball season begins in April. Anthony Ferrara LHP – The left-hander had one of the highest ERA’s on the Salt River Rafters, but that all stemmed from two bad outings. His 4.91 ERA (4er/7.1ip) would have progressively gone down if given the opportunity to log more innings, but with only eight appearances, Ferrara’s trouble in two games came at a high price. The Riverview, Florida native held the opponent hitless in six of his eight outings on his way to a 1-0 record. Ferrara still has some room for improvement coming into the 2014 season. Watch for him to land back at Double-A. Sam Gaviglio RHP – The former Oregon State Beaver hurled the second most innings on the team en route to a 3.58 ERA (11er/27.2ip). Gaviglio had a tough time adjusting to the talent in his first three starts, holding a 7.38 ERA (10er/12.2ip), but finished strong in his last three outings of five innings a piece, allowing a combined one run (0.60 ERA). The right-hander ended with a 3-0 record and 21 strikeouts. Gaviglio was solid last year at Advanced-A Palm Beach and clearly had a good fall. Anticipate the right-hander to start the season at Double-A. Dean Kiekhefer LHP – Coming out of the bullpen, Kiekhefer appeared in nine games with a 3.72 ERA (4er/9.2ip) and three walks. Left-handers actually hit him better (.357) than right-handers (.231), although the sample size is small. The former Louisville Cardinal held teams to one hit or fewer in two-thirds of his appearances. Kiekhefer had a good 2013 campaign and needs to continue keeping lefthanded batters to a lower average. He’s a long shot as a bullpen arm in Memphis with a likely start in Double-A Springfield. 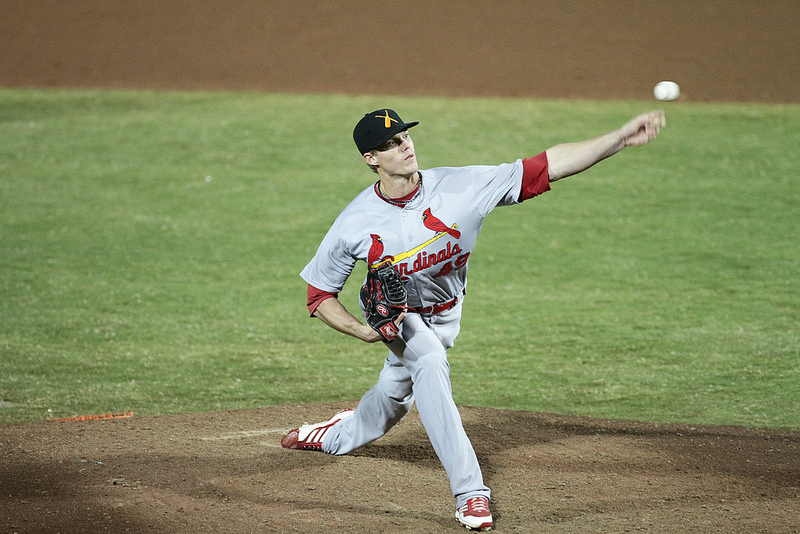 Stephen Piscotty OF – Piscotty, who was named the organization’s top prospect by the AFL, tore up league pitching in his 23 games. Bringing all aspects of his offensive game to the league, the rightfielder’s final stat line looked like this: a .371 average, team-leading .936 OPS, 18 RBIs, three triples, seven stolen bases, and 20 runs scored. He was also named the AFL Player of the Week on 10/22, further proving his dominance. 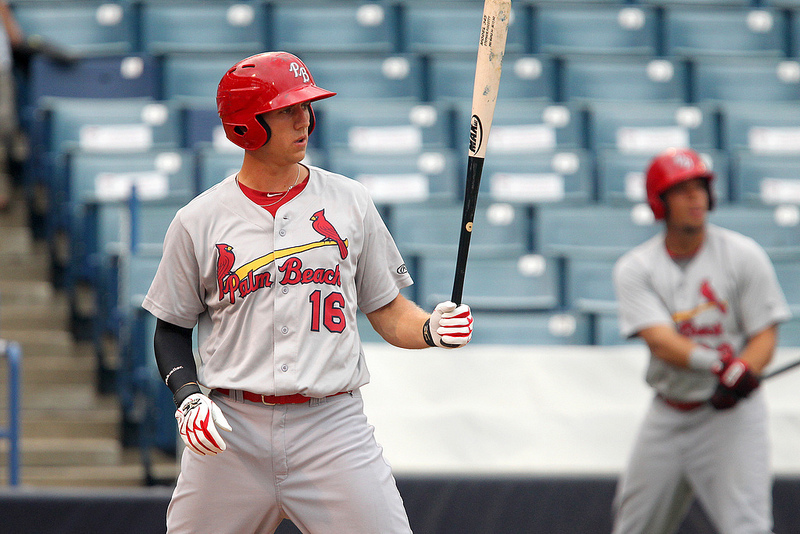 Piscotty was ranked the #98 top prospect by Baseball America coming into the season because of his offensive prowess. With a strong showing during the AFL, expect a similar spring by the outfielder that will land him in Triple-A. James Ramsey OF – Ramsey appeared in one game less than Piscotty and hit .246. Favoring left-handers over righties, the outfielder hit .333 with a 1.029 OPS against southpaws. The former Florida State Seminole hit only .129 during 10 day games and .342 in 12 night games. Ramsey was one of only seven position players to not make an error. Ramsey climbed the ladder through three different levels last year, finishing at Triple-A. Though his numbers at Double-A do not jump off the page, Ramsey has a good shot of manning the outfield at AutoZone Park with the Redbirds if he puts together a good spring. Lee Stoppelman LHP – Stoppelman was one of the better relievers for the Salt River Rafters, possessing a 2.89 ERA (3er/9.1ip) in nine outings. Holding opponents to an overall .143 average and left-handers to a dismal .071, he surrendered only four hits. The Pleasant Hill, Missouri native struck out 12 and walked nine on his way to seven scoreless outings. Stoppelman mirrored Ramsey, going through three levels last year and finishing up at Triple-A. Expect to see the southpaw back in Memphis to begin the year, with an outside chance to grab big league experience sometime during the season. Jacob Wilson INF – Never having reached a level higher than Advanced-A, Wilson could be considered the surprise of the team. The second basemen appeared in only 13 games, but hit .304 with two doubles and a home run. Wilson was at his best when the stakes were high, hitting .412 and knocking in all 13 of his RBIs with runners in scoring position. Wilson is still young and needs the maximum amount of at-bats possible. Even though the infielder impressed in the AFL, expect a trip back to Advanced-A Palm Beach to start the season.